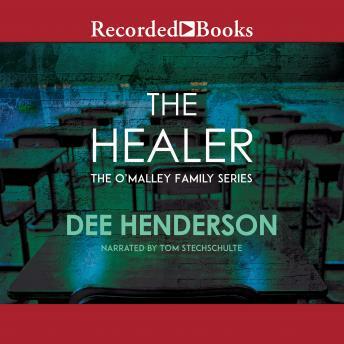 Listen to "The Healer" on your iOS and Android device. Rachel O’Malley works disasters for a living. Her specialty is helping children through trauma. For years Rachel has touched grief as she helps others through it, but now grief is something very personal -- she is losing her own sister to cancer. Helping the other O’Malleys through the crisis is taking everything Rachel has to give. When a school shooting rips through her community, she must lean hard against God to find the strength to help the children. For there is more than just sorrow confronting her, there’s a secret. One of the students was there. One of them witnessed the shooting. And the murder weapon is still missing . . .